Why do so many Americans hate their jobs? From New York Times bestselling author Dan Lyons comes this groundbreaking, incisive examination of how the internet-and ideas championed by Silicon Valley power brokers-changed the way we work, damaged our brains, and left us poorer and insecure. In the months following the publication of Disrupted, Dan Lyons was astonished as hundreds of readers wrote to him with their own harrowing stories of discrimination, fear-mongering managers, and companies denigrating employees in pursuit of quick profit. The letter writers felt helpless, confused, and victimized. Lyons began to understand how the problems he had identified in the start-up world are infecting virtually every kind of job in America. Paradoxically, the misery index is soaring at a time when companies are giving more lip service than ever about finding ways to make employees happy. What happened to work in America? Who is responsible? And does any company have a model for doing it right? As Lyons ventured across America in pursuit of answers, he came to understand how a cluster of ideas enabled by the internet and promoted by Silicon Valley companies spread to workplaces across the country and the globe. These new notions about work have broken the social contract that once existed between companies and their employees, making us poorer, insecure, and subject to constant change and dehumanizing technologies that have altered our very psychology. A few companies, however, get it right. 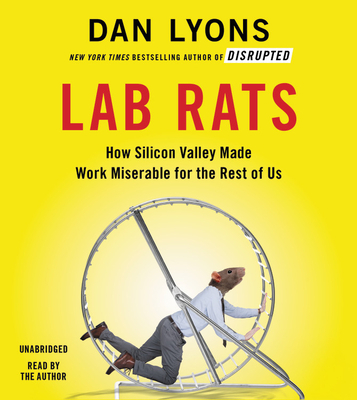 With Lab Rats, Lyons makes a passionate plea for business leaders to understand this dangerous transformation and shows how profit and happy employees can indeed coexist.